$5,000 RISE House Racer Challenge!!! « Big Squid RC – RC Car and Truck News, Reviews, Videos, and More! Want to make a cool $5,000? 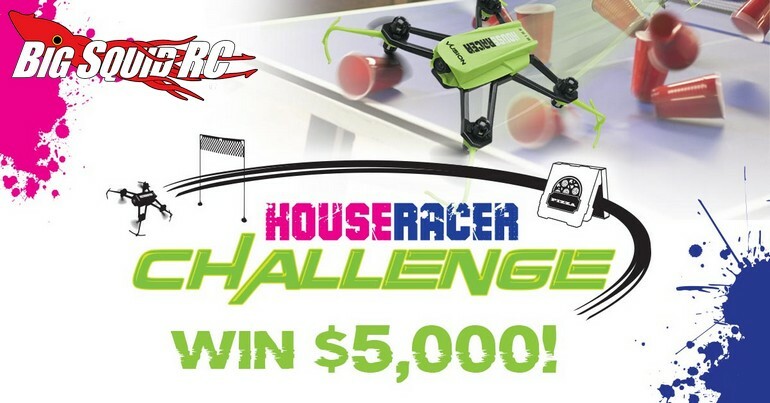 If so, the folks at Hobbico have announced the RISE House Racer Challenge! The challenge involves taking one of their House Racer quadcopters, flying it through a course you have created with RISE Race Gates, then submitting the FPV video. A panel of all-star judges will then pick a winner who gets some serious money! If you already have a RISE House Racer and Race Gates, you can start submitting video on March 15th. Video submissions will be accepted up to April 4th, with a winner proclaimed on April 14th. This contest looks incredibly cool and you can get full details by using This Link to jump over to the official RISE website. Can’t get enough RISE news? Find more Right Here on BigSquidRC.